HSE Securities is a key player in the stock market with hundreds of HSE Securities Sub Broker working under them across India. HSE Securities is a popular share broking company that has been a stable partner to investors who want to raise their net worth through stocks. The company has its headquarters in Hyderabad, Andhra Pradesh. The company also has branches extended through its sub-brokers network. Here in this article, you can get the in-depth analysis and review of HSE Securities and the requirements for becoming their sub-brokers. You can get to know about HSE Securities franchise benefits, revenue sharing models and other details in a comprehensive manner. HSE Securities have a customer rating of 2.4 for its services and customer experience. It has also received a high rating for its support services. This shows that the clients of HSE Securities are highly satisfied with the support provided. The overall rating of HSE Securities is 3 stars. This indicates that the services offered by the company are on par with what the industry is offering. HSE Securities is a privately owned full-service broker that offers securities brokerage and trading services to its customers. The company has earned its reputation through a lot of hard work and by showing integrity towards their customers. V R Bhaskar Reddy is the founder of the company, and he founded it in 1999. The SB code activation time for the company is 28 days. The payout time for sub-brokers is 3-4 weeks. The company is known for its prompt services to its clients and its sub-brokers. The sub-broker business of HSE Securities allows individual brokers to work under the company name. This is a franchise model that acts like a monopoly business in which multiple brokers can do work in the same workplace. The referral program business of HSE Securities allows individual brokers to work under the company name. This is a franchise model in which the sub-broker can earn commission on the referrals provided to HSE Securities. HSE Securities franchise commission for the master franchise is 60% – 85% of the total revenue. The processing of the revenues happens in a fair and transparent manner. The revenue sharing model is attractive to sub-brokers. This is a great offer compared to the programs available with competitors. The sub-brokers can make a lot of money with HSE Securities. The commission for referrals programs come to Rs 1,000 per referral. HSE Securities Franchise cost/ security deposit for sub Franchise is Rs 30,000 – Rs 1,50,000. Therefore it is very much easier for sub-brokers to start their business with HSE Securities. 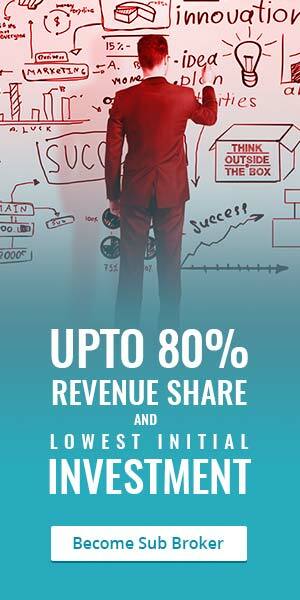 For the sub-broker business model with lower revenue share, you will need to invest Rs 30,000. For sub-brokers who want to have higher revenue share, they are required to invest Rs 1,50,000 as security money. This initial investment is fully refundable and will be returned to you if you decide to opt out of the licensing program. The main advantage of HSE Securities is that once the infrastructure requirements are set, higher amounts of revenues can be earned. The main disadvantage is that the company requires Rs 10,000 initial deposit. It does not have other constraints like flat revenue sharing model. The more you perform, the more you can earn with HSE Securities. The support provided by HSE Securities is comprehensive. It enables the sub-brokers to scale up their business quickly. However, sub-brokers need to take care of trading support and product training. Equity Delivery is charged at 0.50%. Equity Intraday delivery is charged at 0.05%. Equity Futures is charged at 0.05%. Equity Options delivery is charged at Rs.50 per Lot. Currency Futures trading is charged at 05%. Currency Options trading is charged at Rs.25 per Lot. Commodity trading is charged at 0.05%. HSE Securities charges to clients are very minimal compared to that of other brokers in the market. Demat AMC is provided at Rs 259 per annum. Trading AMC is free. This has been the main selling point for the company’s excellent services. The account opening charges with HSE Securities is Rs 229 per annum. The transaction charges are at 0.00317%. The margin money is Rs 1000.